A look at a book that gives us tips on how we can live a life that's lower in harsh chemicals, stress and waste. Come have a read. This post contains some affiliate links. This means that if you decide to make a purchase and click on a link, I may receive, at no extra cost to you, a small commission which goes towards helping me to keep the blog going. Thank you for your support. You know how I feel about plastic. And chemicals in makeup. And perfectly-shaped fruits buffed and polished with wax. And, so I discover, so does educator and activist Alexx Stuart. 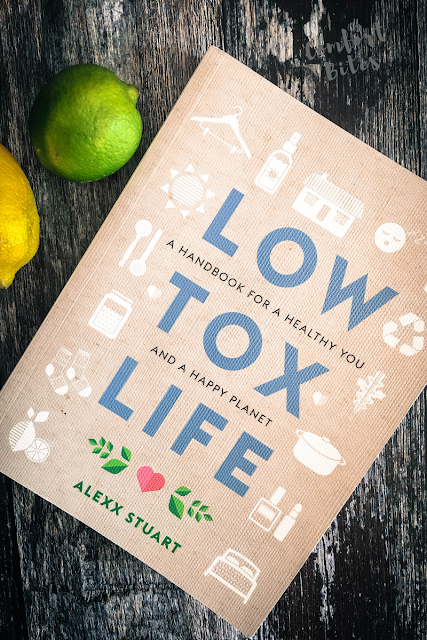 She has written a handbook, called Low Tox Life, that helps you adapt to a healthier, planet-friendly life. I'm all about this, so I couldn't wait to have a look at a copy, which was kindly sent over for me to have a read. First off, the book is chunky, at over 260 pages. And straight away, I knew I'd love it. The layout is modern, intuitive (so you can find what you're looking for quickly) and beautifully designed. It has four main areas, including Body, Home, Food and Mind. Each one has lots of ideas on ways you can reduce your toxic load, individually and as a family. It's educational, too. Did you know there are hormone disrupting chemicals in our cosmetics? Or that the formaldehyde in our nail polish is often labelled as something else entirely - formalin? And, as a migraine sufferer, I can totally tell you that something's going on in perfumes and so-called 'air fresheners', too, because I can be fine when I enter a department store, but walk me through the perfume section and I'll emerge at the opposite end mumbling, with double vision and a weird ache in the base of my brain. The good news is that you can do an awful lot that's home made, more than I actually thought you could before I picked up this book. I've already cleaned out my husband's thermal coffee flask with bicarbonate of soda - worked a treat! - and I'm making home-made shimmery lip balm for the kids. There are recipes in the book for home-made, natural home fragrances and household cleaners. I've ditched my furniture polish, too. Yes, I'm sick (probably literally) of the fragrances and gases that escape when we use commercial products, but I'm also happier because using natural products is cheaper and I'm feeling good about supporting the planet. And there aren't just recipes. 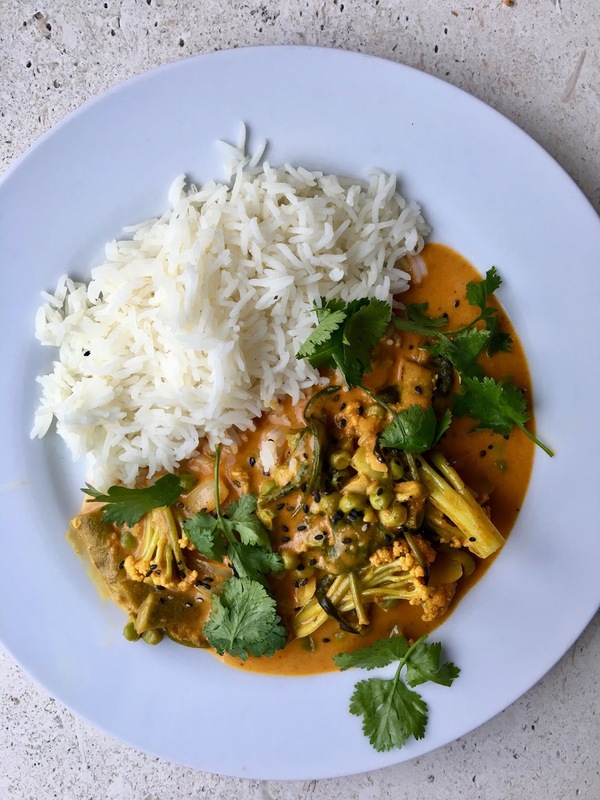 There's advice in here about how to waste less food (we made the Buy-Nothing-New-Curry from the book - it was lush), and how to buy your clothes a bit more sustainably. There are tips about rest and relaxation, buying organic and reducing plastic in every way in our lives. Plastic doesn't really break down completely, so it scares me a bit the abundance to which we've been using it for the past few decades. The book is written in a humurous, down to earth way - as if a friend was leaving you a note. It's sharp and to the point - no waffling. I love it. I'm going to be dipping into this more often and I'll be sharing my home-made cleaning, cosmetic and household products on Instagram. Stay tuned! To grab your own copy of Low Tox Life, visit your nearest book shop or have a look here on Amazon. Have you read the book? Do you make your own natural products at home? Does plastic freak you out, too? Let me know in the comments below.